Research, field studies, teaching and consulting in watershed, coastal and marine ecology and management, nutrient biogeochemistry, groundwater, environmental policy and planning. Advisor, The Wild Gift, Sun Valley, Idaho. Advisor to non-profit organization providing outstanding youth a compelling experience in deep wilderness and supporting their commitment to a one-year, self-designed leadership project that will advance wildlands stewardship and the development of sustainable human community and lifestyle. 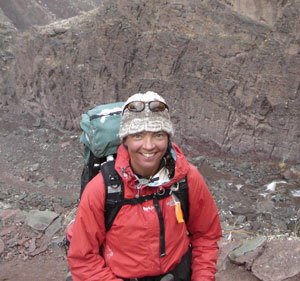 Participated as an advisor on a three-week educational backpacking and river rafting adventure in the Wrangell St. Elias National Park in Alaska (summer 2003). Lecturer, MIT Department of Civil and Environmental Engineering and Project Supervisor, Big and Little Wood River Watershed Nitrogen Loading Assessment, Blaine County, Idaho. Designed and taught year-long project course and supervised Masters of Engineering theses. Project focused on assessing nitrogen loading to two Idaho watersheds and included development of land use-based mass balance GIS model of nitrogen loads and transport, design and evaluation of appropriate management strategies, e.g., nutrient trading and agricultural best management practices (BMPs), and public outreach and education. Co-Director, Wood River Valley Water Project, Hailey, Idaho. Co-initiator, organizer and fundraiser for a study of water quantity and quality in the Wood River Valley, initiated in response to burgeoning development pressure in the valley. The goal of the project is to better understand whether and to what degree water is a limiting resource for future development, how surface and groundwater are being impacted by changing land uses, and to provide a scientific basis for policy and planning tools. The project will be undertaken in collaboration with the US Geological Survey and will synthesize existing hydrologic studies, identify gaps in data and understanding of issues related to water quantity and quality, and develop a series of research projects, including field measurement and modeling, designed to answer residual technical questions. Project Manager and Scientist, Winsegansett Marsh Restoration Feasibility Assessment, Fairhaven, Massachusetts. Managed NOAA hydrological enhancement and Phragmites control project. Scientific responsibilities include study design, fieldwork, analysis and project engineering; management responsibilities include client interface, budgeting, staff and subcontractor oversight, and overall project direction. conducting sanitary surveys and developing a bacterial sampling plan for each site in order to assess the sources and magnitudes of bacterial pollutant load. Scientific responsibilities include study design, fieldwork, and analysis; management responsibilities include client interface, budgeting, and overall project direction. Hydrologist, Development of Methodology to Assess Natural Resource Damages (NRD) to Groundwater. Provided technical input and direction for two states designing methodologies to assess natural resource damages (NRD) to groundwater. Technical Lead, Conestoga Nutrient Trading Pilot Program, Pennsylvania. Lead Data Needs Committee for a large, multi-institutional project aimed at developing a pilot nutrient trading program for the state of Pennsylvania. Designed and managed development of GIS tool to estimate watershed nitrogen loads and transport in order to identify and prioritize potential nutrient trading partners, and to evaluate potential for implementation of agricultural best management practice (BMPs). Participated in programmatic design, policy development and public outreach efforts. Scientist, Evaluation of Nitrogen Reduction Opportunities Under U.S. Farm Bill. Synthesized existing data on recommended fertilizer application rates for heavily agricultural states and evaluated relationship between application rate and yield in order to recommend policy options for reducing synthetic fertilizer use nationally. Analyzed possible changes to recommended application rates and use of risk management tools, precision agriculture and best management practices as potential policy avenues. Scientific Panel Participant, Development of Proposed EPA Nutrient Criteria. Evaluated and commented on EPA draft technical guidance documents for National Nutrient Criteria Program. Participated in science panel for EPA public hearing. Co-author. Historical, Present and Future Assessment of Nitrogen Use in the U.S. Evaluated nitrogen inputs to and exports from the US from human activity from 1961 to present and projected nitrogen use through 2030. Inputs analyzed included use of inorganic nitrogen fertilizer, emissions of NOx from fossil-fuel combustion, and nitrogen fixation in agricultural systems. Riverine transport to coastal oceans, nitrogen exports in food and feed, and atmospheric advection to the oceans were the primary export pathways evaluated. Assessed impact of possible future changes in diet or agricultural practices on nitrogen fluxes. Consultant, Cape Cod Nutrient Loading Study. Reviewed and compared several nitrogen loading models and subsequent estuarine response methods for development of critical load assessment for three shallow embayments on Cape Cod, Massachusetts. including groundwater monitoring plans, for a proposed 1,800 home sub-division and wastewater treatment facility. Consultant, Review of Effluent Trading in Watersheds. Reviewed states’ experiences with effluent trading in watersheds and synthesized requirements for successful program development. Graduate Researcher. Measurement and Modeling of Denitrification in Groundwater, Cape Cod. Designed and implemented field-based research project to evaluate the rate of denitrification of anthropogenically-derived nitrogen in groundwater from fertilizer, atmospheric deposition, and septic waste, and to assess the role of nitrate and dissolved organic carbon (DOC) as controls on denitrification rate using stoichiometry and stable isotopes of nitrogen. Investigated the relationship between vadose thickness and DOC in order to predictively model groundwater DOC concentrations. Developed kinetics model to predict groundwater denitrification rates. Significant field and analytical laboratory work included designing, constructing, installing and sampling several fields of multi-level groundwater sampling wells, optimizing methods for measurement of low level nitrate and ammonium, and developing methods for analysis of N 2/Ar by gas chromatography in aqueous samples. Graduate Researcher. Analysis of Hydrothermally-Generated Electricity in the U.S. Analyzed extraction technology, market opportunities, and regulatory framework of domestic hydrothermal industry for U.S. Department of Energy, Geothermal Division. Graduate Researcher. Sedimentological Study of Beach Replenishment, Revere Beach, Massachusetts. Designed and implemented field-based research project to evaluate sediment transport mechanics of a beach replenishment project. Collected and analyzed sedimentology of nearshore and beach samples to estimate transport pathways, evaluated beach profiles to estimate erosion and deposition rates, and successfully correlated transport pathways with theoretical model of transport on a log-spiral beach. Howarth RW, Boyer EW & Pabich WJ. (2002) Nitrogen Use in the United States from 1961 – 2000 and Potential Future Trends. Ambio 31:88-96. Masterson JP, Colman JA, Pabich WJ & Walter DA (in press) Simulated effects of aquifer travel time on nitrogen transport to a coastal embayment, Cape Cod, Massachusetts. Ground Water. Pabich WJ, Hemond HF & Valiela I (submitted). An empirical model to predict groundwater denitrification rates, Cape Cod, USA: Substrate limitation by nitrate and DOC. Environmental Science & Technology. Pabich WJ, Hemond HF & Valiela I (accepted). Denitrification rates in groundwater, Cape Cod, USA: Control by nitrate and DOC concentrations. Biogeochemistry. Pabich WJ, Valiela I & Hemond HF (2001). Relationship between DOC concentration and vadose zone thickness and depth below water table in groundwater of Cape Cod, U.S.A. Biogeochemistry. 55: 247-268. Valiela I, Bowen JD, Cole ML, Kroeger KD, Lawrence D, Pabich WJ, Tomasky G & Mazzilli S. 2001. Following up on a Margalevian concept: Interactions and exchanges among adjacent parcels of coastal landscapes. In: J.M. Gill, J.L. Pretus and T.T. Packard (eds. ), A Marine Science Odyssey into the 21 st Century. Scientia Marina 65 (Suppl. 2): 217-231. Valiela I, Pabich WJ, Tomasky G, Kroeger K, Bowen J & M Cole (submitted) Couplings between land and estuaries by groundwater discharge: Mechanisms and effects. Ground Water. Westgate EJ, Kroeger KD, Pabich WJ & Valiela I. 2000. Fate of anthropogenic nitrogen in a nearshore Cape Cod aquifer. Biological Bulletin 199:221-223. Howarth RW, Boyer EW & Pabich WJ. October 16, 2001. The Nation’s Nitrogen Story. N2001 The Second International Nitrogen Conference. Potomac, MD. Pabich WJ, Hemond HF & Valiela I. July 24, 2001. Denitrification rates in groundwater, Waquoit Bay watershed, Cape Cod, MA: Control by nitrate and DOC concentrations (poster presentation). Gordon Conference. Forested Catchments: Hydrological, Geochemical, and Biological Processes, Andover, NH. Pabich WJ & Howarth RW. June 25, 2001. Human influences on the delivery of nitrogen to coastal systems. American Society of Agronomy & Soil Science Society of America, Northeast Branch, Annual Meeting, W. Greenwich, RI. Pabich WJ, Hemond HF & Valiela I. February 14, 2001. Denitrification rates in groundwater, Waquoit Bay watershed, Cape Cod, MA: Control by nitrate and DOC concentrations. ASLO 2001 Aquatic Sciences Meeting, Albuquerque, NM. Pabich WJ. April 25, 2000. Vadose zone thickness and depth below the water table as controls on DOC concentration in groundwater, Cape Cod. Woods Hole Oceanographic Institution, Challenges in Coastal Groundwater Research, Spring 2000 Groundwater Seminar Series. Pabich WJ. February 3, 2000. DOC and nitrogen in Cape Cod groundwater. U.S.Geological Survey Cape Cod Toxic Substances Hydrology Research Site Meeting. Westborough, MA. Pabich WJ, Valiela I & Hemond HF. 1999. Vadose zone thickness as a control on dissolved organic carbon (DOC) delivery to groundwater, Waquoit Bay watershed, Cape Cod. ASLO 99 Conference, Santa Fe, NM. Pabich WJ. October 21, 1998. Kinetic modeling of denitrification in groundwater on Cape Cod. MIT Parsons Laboratory, Aquatic Sciences Seminar Series. Pabich WJ. December 4, 1996. Measuring rates of denitrification in a sandy coastal aquifer. MIT Parsons Laboratory, Aquatic Sciences Seminar Series. Pabich WJ. (2000) Denitrification of anthropogenic nitrogen in groundwater: Measurement and modeling using stable isotopic and mass balance approaches. PhD dissertation, Massachusetts Institute of Technology, Cambridge, MA, 188 p.
Pabich WJ (1995) Hydrothermally-Generated Electricity in the United States: An Industry Analysis. M.S. thesis, Massachusetts Institute of Technology, Cambridge, MA, 62 p.
Pabich WJ (1995) A Sedimentological Study of a Replenished Beach: Revere Beach, Massachusetts. M.S. Thesis, Duke University, Durham, NC, 144 p.
Conference. Forested Catchments: Hydrological, Geochemical, and Biological Processes. The Scientific/Policy Underpinnings of the Ecoregional Nutrient Criteria. June 27, 2001. EPA National Nutrient Criteria Stakeholders Meeting. Crystal City, VA. Member of Ecological Society of America, Geological Society of America, American Society of Limnology and Oceanography, Dartmouth Environmental Network. Interests include downhill and backcountry skiing, backpacking, traveling, mountain biking, running, and watercolor and oil painting. Fall 1988 Geography Intern, National Geographic Society, Washington, D.C.
Advisor to non-profit organization providing outstanding youth a compelling experience in deep wilderness and supporting their commitment to a one-year, self-designed leadership project that will advance wildlands stewardship and the development of sustainable human community and lifestyle.